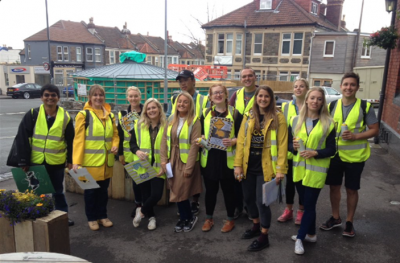 We were delighted to take part in the Marks and Spencers Spark Something Good Campaign this June in order to run our biggest Yellowfish event yet – all the way from the top of Gloucester Road to Stokes Croft! 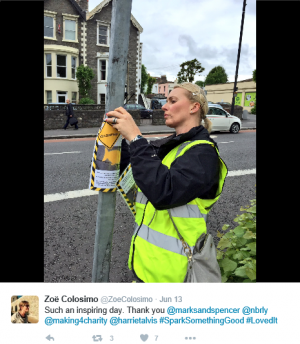 Eight M&S stores from Weston to Yate took part in the campaign, which saw 300 volunteers give up over 2,000 hours for free, in order to make a positive difference. 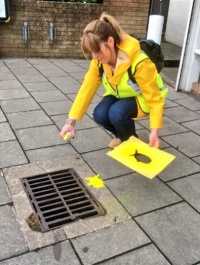 We’re loving the yellow clothing theme from this volunteer!